Capri cork offers high quality commercial floor coverings created with cork, rubber or a combination of both rubber and cork. 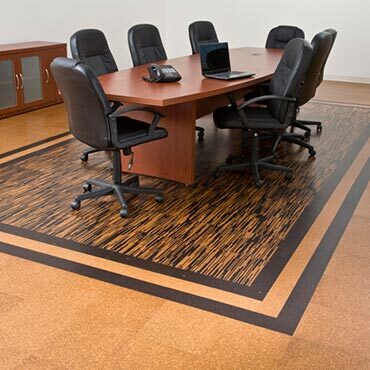 The Capri cork collections include Mediterra gluedown cork and Eco-Clicks cork floating floor. The Re-Tire recycled rubber collections consist of Basics, Kaleidoscope, Medley (with cork content) and Shades of Black. Capri’s rubber cork collections are Cor-Terra, AND/OR and Sequel.